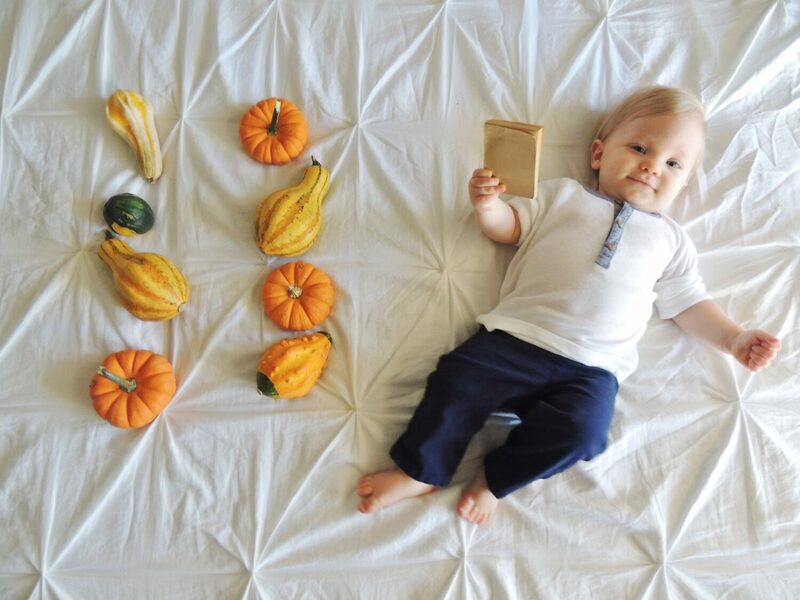 Honestly, I cannot believe this little pumpkin is already 11 months. I was sitting eating lunch yesterday in our dining room and I had all the windows open since Arizona finally decided to join in on fall, and I was breaking up piece of fruit and cheese for Ryker. I sat there and just felt grateful for my life and this little boy. I thought about how much he could do for himself and just how curious he was about the world around him. He brings joy to old mundane tasks and lets me see the world through his eyes. It is truly a blessing to have him in our lives and I wouldn’t change a single thing. Ryker started walking which kind of broke my heart because he looks like a toddler more than a baby. He would be outside 24/7 if I let him but when inside he loves our printer. So weird, but I think it’s the buttons and the noises that intrigue him. He started yogurt this past month and I can’t buy enough of it for the kid. When we wakes up in the morning he likes to coo in his crib until I manage to roll out of bed (so NOT a morning person) but waking up to Ryker makes it better! I love the way he laughs and the big grin he gets when he first sees the puppies. He is in love with his dogs and they love him right back for all the crumbs he carries around! He started acting shy around other people but I love those extra cuddles because I know he trusts me. Cam and I are so ready to celebrate our little miracle next month and get excited because it’s going to be a party!